A person's occupation can mean a three-old difference in mortality rates, with the unemployed faring worst, researchers have found. A Glasgow University study found people who work in factories and in construction have higher death rates than doctors and teachers. Housekeepers and cleaners were also identified as at risk groups. The findings, published in The Lancet Public Health, examined UK mortality rates by occupation from 1991 to 2011. The report, by the university's MRC/CSO Social and Public Health Sciences Unit, is the first study to rank mortality rates by occupation in the UK in 30 years. Dr Vittal Katikireddi, lead author of the research, said: "Our results show that there were very large differences in death rates by occupation, with professional occupations such as doctors and teachers faring far better than factory workers and garment trade workers. "We studied trends over a twenty year period where we found that in most occupations mortality rates have fallen. "However, in some they have remained stagnant and for women in some occupational groups, such as cleaners, mortality rates have even increased." The team confidentially analysed mortality rates and occupational data together for adults aged 20 to 59. Researchers also compared differences in mortality rates between Scotland and the rest of the UK, revealing that higher rates of death in Scotland were concentrated in the lowest skilled occupations. Men who were health professionals - such as doctors, dentists, psychologists, pharmacists, opticians and vets - had the lowest mortality rates. Among women, teachers and business professionals were found to live longer. The highest mortality rates were recorded among unskilled construction workers and those working in factories or similar settings. But the highest death rates overall occurred in men who reported no occupation. Dr Katikireddi urged politicians to take heed of the findings. He added: "Our study has particular relevance to policymakers in Scotland as there has been considerable concern that health outcomes in Scotland are poorer than elsewhere in Western Europe. "Addressing Scotland's 'sick man of Europe' status requires paying particular attention to improving health among people working in low-skilled jobs and who are unemployed." The report also notes trends in the job market, such as zero hours contracts, could adversely affect health inequalities in the future. Mortality rates by occupation were first calculated in 1851 following the UK's second ever census. 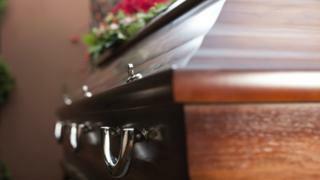 More recent research has focused on where people live and, according to the report, mortality in Scotland "remains consistently higher than elsewhere in the UK." The study, Patterns of mortality by occupation in the UK, 1991-2011: a comparative analysis of linked census-mortality records over time and place, is published in The Lancet Public Health.